Globe myBusiness recently introduced innovative, affordable and easy-to-use solutions through delivering fully-customizable and best-value products to enable the growth of various microbusiness, small and medium enterprises (MSMEs). One of these solutions is the affordable Globe myBusiness CCTV, with its “plug-and-play” feature, motion detections, and accessibility via video call and remote viewing via users’ smartphones. It can also prompt e-mail alerts and pair with other devices. 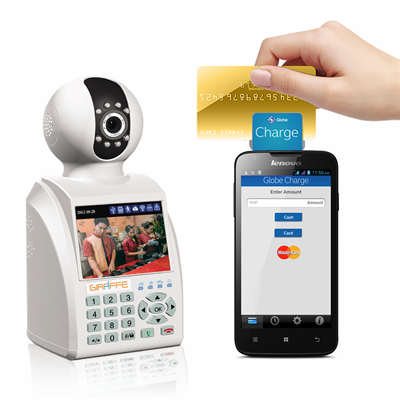 Globe has also recently launched Globe Charge, which integrates a smartphone and an innovative mobile card reader into a convenient mobile point-of-sale (POS) payment device. Globe Charge can also let users place calls, send texts and surf with their Globe myBusiness postpaid subscription going for as low as P499 for a 3-month contract period. Their Globe Charge transactions are free-of-charge through the data signal of a registered Globe or TM number, or Wi-Fi connection. A host of other solutions are made available for MSMEs from basic telecommunications services such as TxtConnect, which lets them send official SMS to large groups efficiently, to advanced information and communications technology (ICT) tools in the form of Google Apps for Businesses, the most affordable way to provide a workforce access to enterprise-grade e-mail and productivity tools powered by Google.